Charter Communications today launched gigabit broadband upgrades across dozens of U.S. cities, including almost all of upstate New York (excluding Buffalo) and large parts of Texas, Ohio, California, and Virginia. 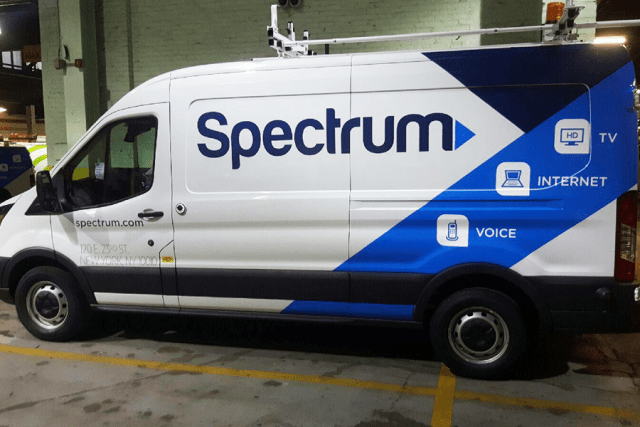 With the latest upgrades, customers in these cities are also getting speed bumps for Spectrum’s Internet Ultra package, which will now offer speeds of 400/20 Mbps. Customers can visit Spectrum.com to review their local speed options. Upgrades to the Ultra tier usually carry no service charges, but moving to gigabit speed will come at a cost — a mandatory $199 installation fee, with a service call required. Some customers may need to swap out or replace their existing cable modems to take full advantage of 400+ Mbps speeds. A list of modems authorized for use on Spectrum’s network along with the speeds they support can be found here. Its about time ROCHESTER gets gigabit speeds! Buffalo, Auburn and Syracuse had Verizon Fios for a long time (in certain areas of the cities) but Rochester has ALWAYS been behind, so although “Spectrum” is not the best I am glad to see we are FINALLY catching up. For as hated “Spectrum” (cable) is, their internet isn’t THAT bad in my opinion. it has its days though. I just hate that everything is so expensive with cable and in order to get anything “cheaper” you have to bundle, but that is how all the cable giants are. Live long and invest, Tom Galisano. Greenlight has been doing gigabit speeds in Rochester, but I know what you mean. I’m personally more excited to see the base download speeds doubled to 200mbps. Does not appear any Spectrum 200MB speed upgrades have happened in Hilton, NY yet. Although my Arris SB6190 modem sees 24 channels where a month ago it only saw 16 channels. Rochester has not always been on the losing side of broadband. Back in the 90s we were one of the first in the country to get cable internet at 10 Mb speed. I know, I had it installed the first week that it was available. With the decline of Kodak, Xerox and B&L in the area, we have been regulated to second rate. In Churchville, I just signed up for 1 Gb speed. I saw 940 Gb once on a speed test, now I get usually between 4-550 Gb on a speed test. However, I have yet to test directly from the modem without anything connected on my network since it was installed. I regularly have 20 devices connected with 6-10 active at any one time while I am home. Why Gb speed? I have 3 teenagers, with phones, tablets, game machines and computers. Each has at least 1 friend over regularly enough to warrant the upgrade. Add that to as soon as DirecTV NOW gets local channels and the DVR up for everyone, and our primary TV will switch from DTV to streaming. Right now, we are at about a 30 DTV/70 streaming split. I am glad to see signups and the technology are now live. I will do a speedtest when I get home tonight to see if it is live within the city limits yet. With this speed upgrade, my SB6141 will not cut it anymore. Is it worth it to buy a new modem or just have Spectrum supply me with one since they don’t charge a rental fee? If it is worth it, what DOCSIS 3.1 modem do you guys recommend? Ben, if you are getting the gig service, you have to use a modem that the tech will bring with him to your home. I am using one of their modems for my 100/10 service and it is working great. I am not clear as to whether the two lower levels have 3.1 available to them or not at this time. Would be nice to see them do something on the upload side.